This book, the result of more than half a lifetime's research, provides a much-needed insight into the nature of English Positivism and one of its leading disciples, Frederic Harrison. I t opens excitingly with the twenty-three-year-old Harrison meeting the ageing but wonderfully fluent Auguste Comte, and being so mesmerised that the interview changed the course of his life and gave him his major 'vocation', the spreading of the Positivist gospel. It is a fascinating story, not so much for the positivism but because of the sheer variety of the man and his interests and indestructible energy. Martha Vogeler's great merit is that her narrative is fair; it has perspective, and never succumbs to the lure' of idolatry. Harrison was always comfortably off, went to Oxford, got a First, studied law, literature, wrote reviews, was interested in politics, contemporary history and philosophy, and never ceased to give himself to the positivist cause. He was a' prime mover in support of the trades union movement in the 1860's, but had no wish to change the class system of this country; he encouraged the young George Gissing, and even made him tutor to his own children. He married a woman twenty years younger than himself, received her support in every way, and was a: happy family man; he was opposed to votes for women, and his wife dutifully undertook a poll in Kent which showed that both sexes were almost equally (and overwhelmingly) against women's suffrage. 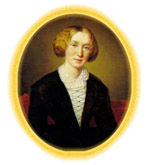 Keeping to the positivist ban on second marriages, he deplored George Eliot's to John Cross after her twenty-four years with Lewes. Yet he was full of inconsistencies, actually congratulating Hardy on his marriage to Florence Dugdale three years after the death of his first wife.